As well as releasing new intellectual properties, many video game developers have taken to remastering older games with modern graphics, reimagined soundtracks and refined gameplay engines. After the phenomenal success of Crash Bandicoot N Sane Trilogy, the time has come for Spyro the Dragon to throw his purple dragon shaped hat into the ring. 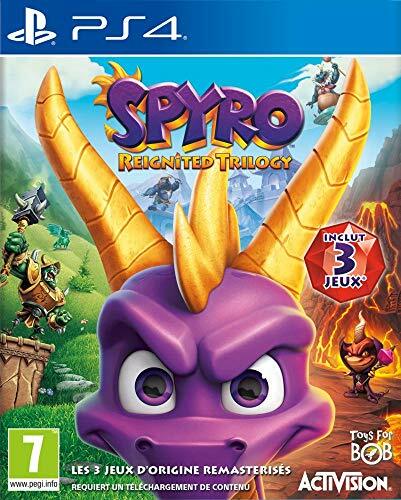 The remaster, which has been titled Spyro Reignited Trilogy, is a collection of the dragons’ first three games, and brings them to life in a way that many developers would dream of being able to emulate. In case you are a newcomer to the series, the Spyro franchise is mainly comprised of 3D platformers, where the goal is to help the citizens of the many areas of the Dragon Worlds by liberating captured dragons, deposing evil overlords and recovering stolen dragon eggs. Spyro’s basic move set is atypical of the platformer genre, with the industry standard jumping and gliding abilities accompanied by flame breath and horn charge attacks. Your in-game health meter is shown by the colour of Sparx the Dragonfly, who accompanies you as long as you haven’t been constantly hit by enemy attacks. Should you need a reminder of what games have been upgraded for their inclusion in Spyro Reignited Trilogy, here is a quick reminder of each of the titles and their essential information. The first game in the trilogy was originally released in 1998 and introduced the infamous purple dragon to the gaming community. After enraging a warlord named Gnasty Gnorc, all the adult dragons in Spyro’s world are transformed into crystal statues. 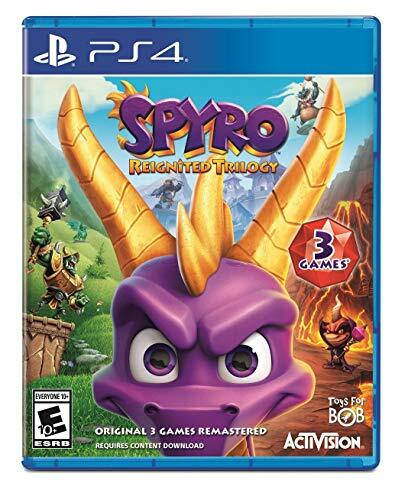 Although the gameplay is not as advanced as it’s younger siblings, the original game, the beautiful level design alongside the wit and charisma of the rescued dragons will keep you entertained until you kick Gnasty Gnorc in his less than beautiful behind. Twelve months after the first adventure, Spyro 2 continued to build on the collectathon platformer formula that made the original game a runaway success. After attempting to take a vacation, Spyro is enlisted to save the world of Avalar from a reptilian wizard named Ripto. This superior sequel introduced side missions into the series, and unlockable new moves such as climbing walls, swimming underwater and bashing your head through thicker rocks. The final entry in the Spyro series was released during the Christmas period in the year 2000. After a group of mysterious thieves steal the latest collection of Dragon Eggs from Spyro’s home, he and Hunter the Cheetah travel to the mysterious Forgotten Worlds to get them back. The side quests from Spyro 2 are greatly improved in this entry, alongside four brand new playable characters and the playable debut of Sparx the Dragonfly. 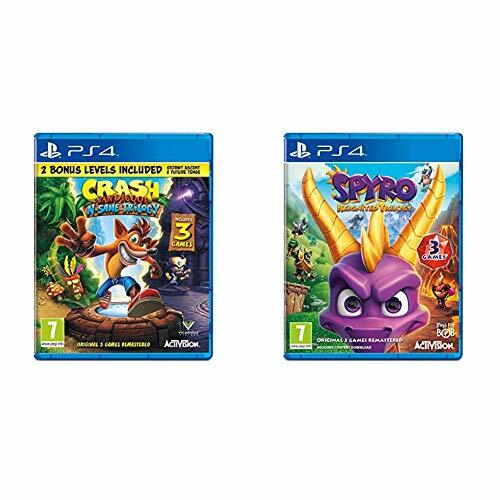 In a similar way to how the Crash Bandicoot remaster was handled by Vicarious Visions, Spyro Reignited Trilogy’s development has been brought into existence by Toys for Bob. Modern gamers will remember the team for their work on the Skylanders franchise, which also starred an incarnation of the purple dragon and the orange shorts wearing bandicoot. Thanks to the developer’s in-house technology, the physics and camera movement of the original games have been perfectly replicated, which is a blessing and a curse for anyone who has attempted to perform some of the series trademark precision gliding sections. In an interesting twist, Toys for Bob have used a combination of all new graphical designs which are heavily inspired by the original games, and the scrapped designs that Insomniac Games provided to the development team. These changes vary in quality, with the new designs of the crystalized dragons in the first Spyro game proving to be one of the best design choices the team have made. Each dragon now has their own unique personality and appearance, with Nestor from the Artisans world and Titan from the Peace Keepers world being some of the best reimagined characters in the remaster. 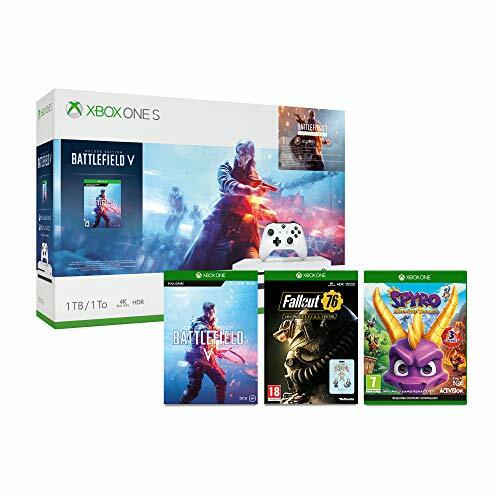 As you might expect from a high definition remaster, all three games have been upgraded to 4K visuals, which run at native resolution if you are running the game on an Xbox One X. Aside from the occasional slowdown during some of the moments with a lot of visual effects, the game runs at a smooth 30 frames per second from beginning to end. The soundtrack of Spyro Reignited Trilogy has been recomposed from the original tracks produced by Stewart Copeland, who is more commonly known as the drummer from The Police. For anyone worried about a drop-in quality, Stewart has returned to assist in these changes, as well as provide all new compositions for the in-game splash screens. In a move that will please many retro gaming fans, you can switch to the original soundtrack by enabling the feature via the options menu. Tom Kenny has returned to voice Spyro, with the remaining voice work mostly being provided by the latest generation of voice actors, such as Melissa Hutchinson, Robbie Daymond and Cassandra Lee Morris. It is slightly disappointing to see Carlos Alazraqui be omitted from the original game, but it is not a surprising design choice as Tom Kenny’s voice feels better suited to the character’s vibrant personality. 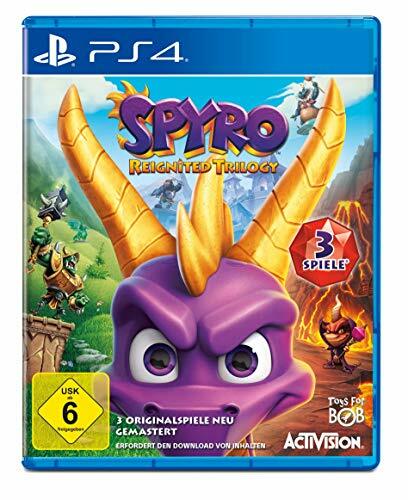 Overall, Spyro Reignited Trilogy contains three of the best high definition remasters that have been developed during this generation. 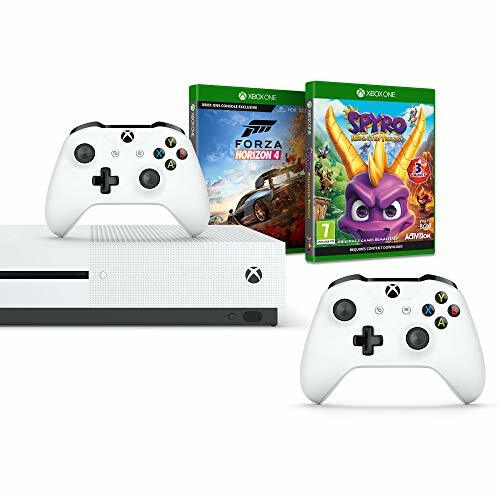 The new graphics and audio are perfectly suited to the franchise, with the almost perfect replication of the game’s original physics bringing the best-selling series back into the limelight where it rightfully belongs. 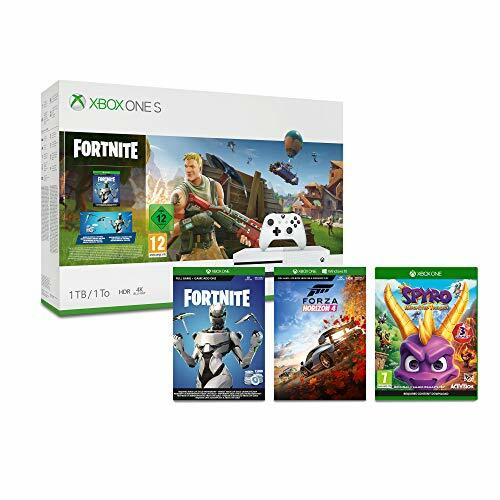 If you are looking for a trip down memory lane or searching for a game to keep the younger players entertained this Christmas, Spyro Reignited Trilogy is the perfect addition to your gaming library.